My weekday morning routine starts with a little work and a hot cup of coffee. It’s what I need to get me going and give me some time to savor the start of the day. Are you a routine person? Do you usually have an order in which your day goes, try do the same things at the same time? Or are you more of the wing-it type? I have always thrived on routine, ever since I was little. It makes my day less stressful and gives me a feeling of peace, as weird as that may sound. I try to structure my day in some sort of routine, though it can definitely get a little crazy since I work from home. And because I work from home, I try to make sure that my morning routine is as productive, yet relaxing as possible. It helps to start my day off on a positive note and leaves me eager to get things done. If you’ve been following me on Instagram through Insta-stories, then you get a little glimpse into the start of my day. 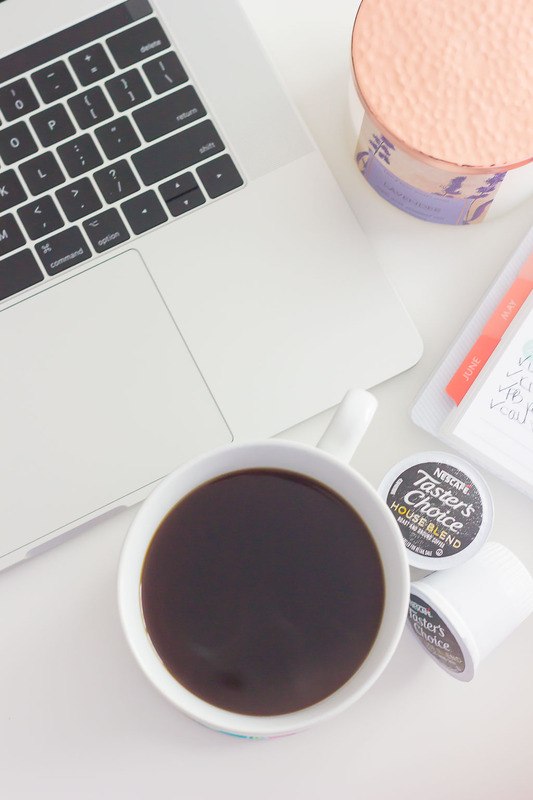 I usually wake up early in the morning, head to my home office, and start doing some daily blog tasks, such as checking emails, promoting new posts/recipes, and looking over my planner for the day. After I’ve spent about 15-20 minutes doing some morning work, I head to my kitchen to brew a hot cup of coffee. I look forward to my morning cup every day, and it’s a must-have for me, whether it’s a busy morning or lazy weekend day. 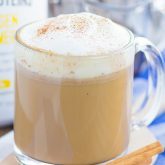 My single serve coffee maker gets a workout and I enjoy trying new flavors and different brands to savor the start of the day. 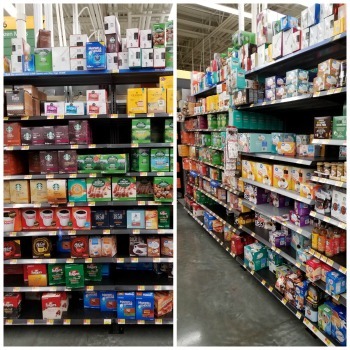 When I was shopping at Walmart last week, I stumbled across NESCAFÉ TASTER’S CHOICE® Single Serve Coffee Pods. I immediately reached for the box, as their House Blend has an irresistible aroma and smooth tastes that delivers a great cup of coffee. Sign me up! These coffee pods are compatible with Keurig® K-Cup® and 2.0 Brewers and lets you enjoy the perfect cup of coffee at the touch of a button. Simply shake the coffee pod for best results, pop it into your single serve coffee maker, and then brew your delicious cup. Afterwards, run hot water through the brewer to prevent blockage. 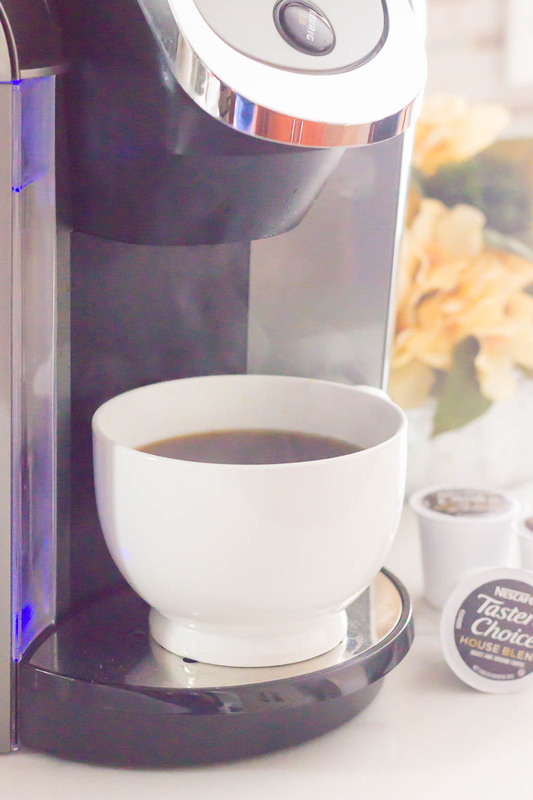 I don’t know what I’d do without my single serve coffee maker, and I couldn’t wait to try NESCAFÉ TASTER’S CHOICE® Single Serve Coffee Pods. It’s a medium roast, made with 100% Arabica beans and responsibly grown and sourced. 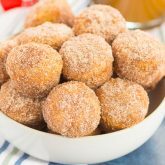 Sounds like a delicious way to start the day! 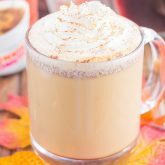 If you’re interested in trying NESCAFÉ TASTER’S CHOICE® Single Serve Coffee Pods, head over to this site to purchase this deliciousness. You can also use this Ibotta offer to earn $3.50 off any 1 Taster’s Choice® (16 ct.) orClasico™ (18 ct.) Coffee Pod. 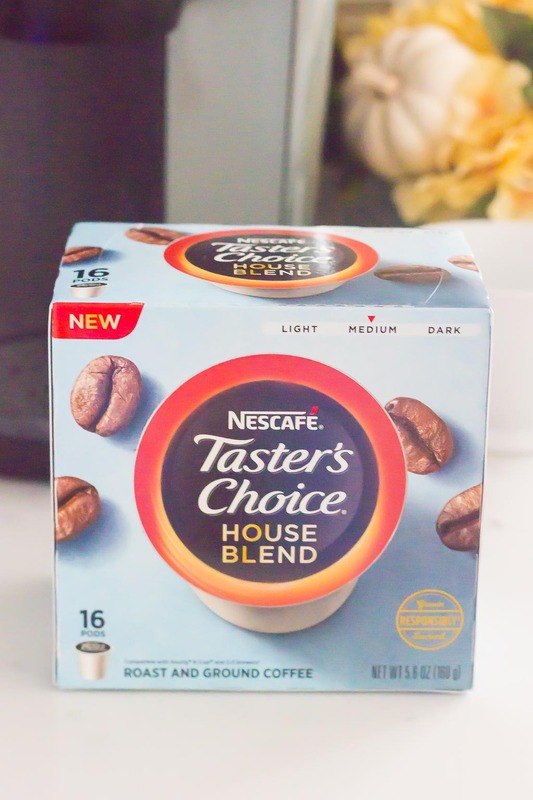 After stocking up on a few boxes of NESCAFÉ TASTER’S CHOICE® Single Serve Coffee Pods, I headed home and knew that the next morning would be the ultimate coffee time. Like I mentioned, I usually get up early, around when the hubster does, and start my day by 6:30am or so. After doing some computer work, I head to the kitchen to get my coffee (and day) officially started. When my single serve coffee maker is warming up, I start my diffuser, filled with essential oils, in my office. If you follow me on Instagram, then you know how much I love essential oils! After the oils are going in my office, I head back down to the kitchen and get that coffee started. And, let me tell you, NESCAFÉ TASTER’S CHOICE® really hits the spot! 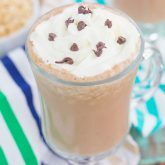 It’s smooth, filled with flavor, and just what I need to get me going in the mornings. After savoring a sip or two in my kitchen, I go back to my office to get more work done and to enjoy my coffee. Working and sipping on coffee may not seem relaxing, but it really is how I love to start my day. I enjoying cozying up in my home office and getting a slow start to my morning, with a hot cup of joe in-hand. It helps me prepare for a busy day of recipe testing, photography, editing photos, writing blog posts, and everything else that goes into this little business of mine. I usually only have one cup of coffee per day, but if I’m really in the mood, I’ll make one for a mid-day pick-me-up, too. It helps me to relax and savor the moment before getting more work done. So, tell me, do you have a morning routine? I’d love to know! Like what you see? 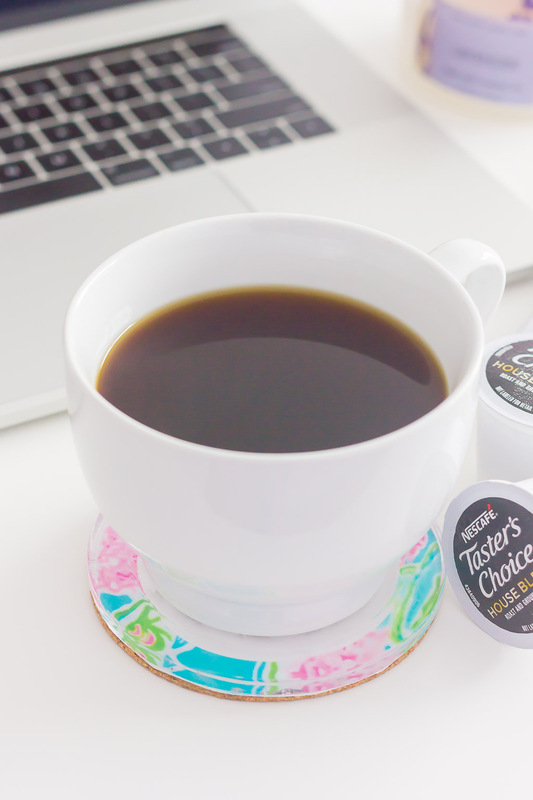 Be sure to head to your nearest Walmart to check out their selection of NESCAFÉ TASTER’S CHOICE® Single Serve Coffee Pods! I definitely thrive on routine too, and my morning ALWAYS starts with coffee! I love how easy it is to use the Keurig -- just press a button and you've got a nice fresh cup of hot coffee! The Taster's Choice blend sounds great! Coffee is the way to go! :) Thanks, Marcie! I love a good morning routine! It's just overall the best way to start the day right. :) And I so need to get into essential oils! I've heard amazing things about it! Thank you, Sarah! I love essential oils!